Home > Updates > RNS test in SouthDelhi, Hauz KhasRNS is an electrodiagnostic test which is used to assess the neuromuscular junction (NMJ).Why is Repetitive Nerve Stimulation performed?RNS is performed when you have muscular fatigue symptoms. It is commonly done to diagnose neuromuscular junction (NMJ) disorders such as Myasthenia Gravis (MG) or Lambert-Eaton Myasthenic Syndrome (LEMS). RNS test in SouthDelhi, Hauz Khas RNS is an electrodiagnostic test which is used to assess the neuromuscular junction (NMJ). 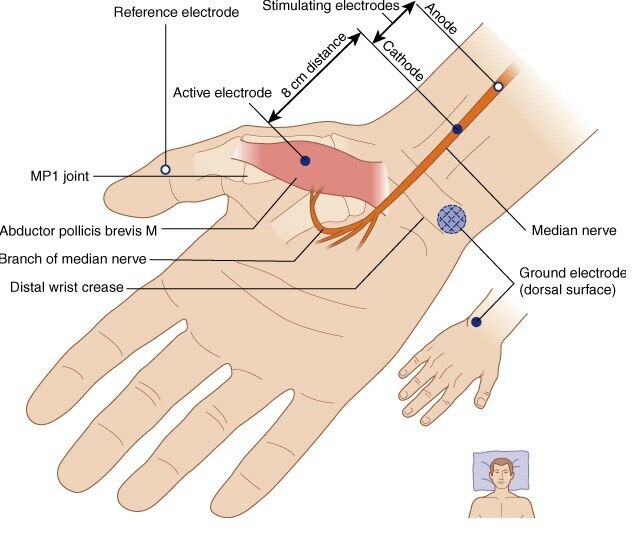 Why is Repetitive Nerve Stimulation performed? RNS is performed when you have muscular fatigue symptoms. It is commonly done to diagnose neuromuscular junction (NMJ) disorders such as Myasthenia Gravis (MG) or Lambert-Eaton Myasthenic Syndrome (LEMS).